1 Week Advanced Strength and Conditioning in the Philippines..
Тигр Муай Тай и ММА Программа обучения Тигр Муай Тай стремится сохранить обучение Муай Тай , мы предлагаем 100% подлинные. Мы уважаем традиции тайской и что почитание проходит глубоко в течение наших классов и..
1 Week All-inclusive MMA & Muay Thai Training in Phuket..
Phuket Top Team Training ММА и муай-тай в Таиланде программы Phuket Top Team MMA Training Camp мирового класса ММА установка, основанная в Таиланде. С акцентом на индивидуальное обучение и атмос.. Combat 360X ММА и муай-тай лагерь Combat 360X Муай Тай и ММА Camp Khao Lak расположен в Кхао Лаке, в 5 км от Memorial Tsunami - Rue Tor 813. 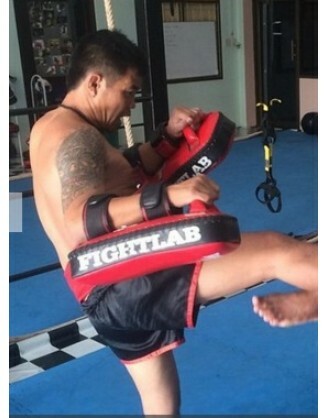 Free WiFi признакам на всей территории отеля и бесплатная частная па..
1 Week Martial Arts Training in Khao Lak, Thailand..
Программа Superpro Samui Ежедневное расписание с понедельника по субботу 08:00 - 10:00 Утренняя тренинги для муай-тай 17:00 - 18:30 Во второй половине дня тренировки для ..
1 Week MMA & Muay Thai Training in Thailand..
Максимальная Фитнес и программа Центр Combat Максимальная Фитнес-центр и Combat устанавливается на фоне кристально синего Андаманского моря на пляже Патонг, прямо на песке. 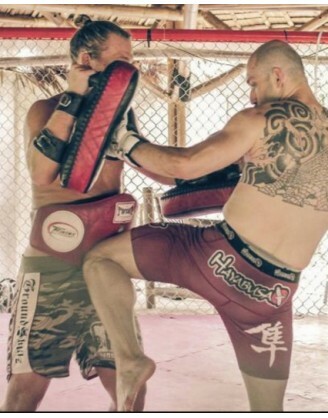 Там нет ничего, кроме песка между ми..
1 Week MMA/BJJ, Fitness and Thailand Muay Thai Training.. Combat 360X ММА и муай Программа Thai Camp Combat 360X муай-тай, кикбоксинг и бокс! 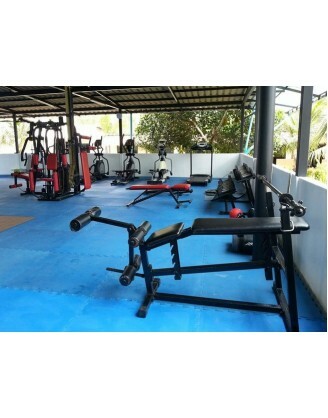 Муай Тай и бокс занятия в нашем Каолак, Таиланд Gym. 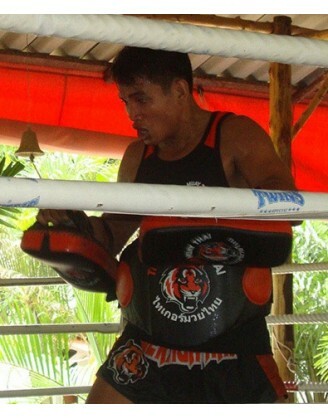 Муай Тай является традиционным боевым искусством Таиланда и ег..
2 Months Thailand Martial Arts Training in Khao Lak..
Программа обучения Боевые искусства Наследие Спортзал Боракай Обучение в Наследие Спортзал Боракай подходит для всех уровней, от новичков до профессионалов. 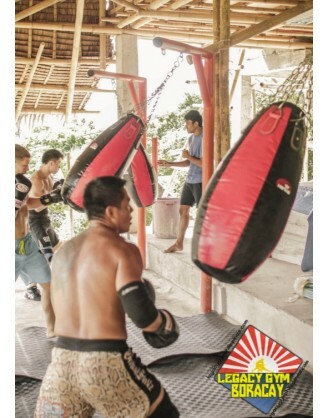 Существуют различные боевые искусств..
2 Weeks Intensive Martial Arts Training in Boracay, the Philippines..
2 Weeks Muay Thai, MMA, and Boxing Training in Thailand.. Combat 360X ММА и муай Программа Thai Camp понедельник 8:00 Муай Тай 10:30 Борьба с 360X фитнес 16:00 ММА 19:00 Йога вторник ..
3 Weeks Muay Thai & BJJ Training in Phang Nga, Thailand..
Mixed martial arts (MMA) is a full-contact combat sport that allows the use of both striking and grappling techniques, both standing and on the ground, from a variety of other combat sports and martial arts. Various mixed-style contests took place throughout Europe, Japan and the Pacific Rim during the early 1900s. In 1980 CV Productions, Inc. created the first regulated MMA league in the United States named Tough Guy Contest, later renamed Battle of the Superfighters, sanctioning ten tournaments in Pennsylvania. However, in 1983 thePennsylvania State Senate passed a bill prohibiting the sport. The combat sport of vale tudo that had developed in Brazil from the 1920s was brought to the United States by the Gracie family in 1993 with the founding of the Ultimate Fighting Championship (UFC). The first documented use of the name mixed martial arts was in a review of UFC 1 by television critic Howard Rosenberg, in 1993. The term gained popularity when the website newfullcontact.com, then one of the largest covering the sport, hosted and reprinted the article. The question of who actually coined the term is subject to debate. Originally promoted as a competition with the intention of finding the most effective martial arts for real unarmed combat situations, competitors were pitted against one another with few rules. Later, fighters employed multiple martial arts into their style whilst promoters were pressured to adopt additional rules aimed at increasing safety for competitors, to meet compliance and regulation and to promote mainstream acceptance of the sport. Following these changes, the sport has seen increased popularity with a pay-per-view business that rivalsboxing and professional wrestling The movement that led to the creation of the American and Japanese mixed martial arts scenes was rooted in two interconnected subcultures and two grappling styles, namely Brazilian Jiu-Jitsu and shoot wrestling. First were the vale tudo events in Brazil, followed by the Japanese shoot-style wrestling shows. Vale tudo began in the 1920s and became renowned with the "Gracie challenge" issued by Carlos Gracie and Hélio Gracie and upheld later on by descendants of the Gracie family.The "Gracie Challenges" were held in the garages and gyms of the Gracie family members. When the popularity grew, these types of mixed bouts were a staple attraction the carnivals in Brazil. Early mixed-match martial arts professional wrestling bouts in Japan (known as Ishu Kakutōgi Sen, literally "heterogeneous combat sports bouts") became popular with Antonio Inoki in the 1970s. Inoki was a disciple of Rikidōzan, but also of Karl Gotch who trained numerous Japanese wrestlers in catch wrestling. Regulated mixed martial arts competitions were first introduced in the United States by CV Productions, Inc.. Its first competition named Tough Guy Contest was held on March 20, 1980, New Kensington, Pennsylvania, Holiday Inn. During that year the company renamed the brand to Super Fighters and sanctioned ten regulated tournaments in Pennsylvania. In 1983 Pennsylvania State Senate passed a bill that specifically called for: "Prohibiting Tough Guy contests or Battle of the Brawlers contests", and ended the sport. In 1993 the sport got reintroduced in the United States by the Ultimate Fighting Championship (UFC). The sport gained international exposure and widespread publicity when jiu-jitsu fighter Royce Gracie won the first Ultimate Fighting Championship tournament, submitting three challengers in a total of just five minutes, sparking a revolution in martial arts. Japan had its own form of mixed martial arts discipline Shooto that evolved from shoot wrestling in 1985, as well as the shoot wrestling derivative Pancrase founded as a promotion in 1993. The first Vale Tudo Japan tournaments were held in 1994 and 1995, both were won by Rickson Gracie. Around the same time, International Vale Tudo competition started to develop through (World Vale Tudo Championship (WVC), VTJ, IVC, UVF etc.). Interest in mixed martial arts as a sport resulted in the creation of the Pride Fighting Championships (Pride) in 1997, where again Rickson participated and won. The first documented use of the name mixed martial arts was in a review of UFC 1 by television critic Howard Rosenberg, in 1993. The term gained popularity when the website newfullcontact.com, then one of the biggest covering the sport, hosted and reprinted the article. The first use of the term by a promotion was in September 1995 by Rick Blume, president and CEO of Battlecade Extreme Fighting, just after UFC 7. UFC official Jeff Blatnick was responsible for the Ultimate Fighting Championship officially adopting the name mixed martial arts. Previously marketed as "Ultimate Fighting" and "No Holds Barred (NHB)", Blatnick and John McCarthy proposed the name 'MMA' at the UFC 17 rules meeting in response to increased public criticism. The question on who actually coined the name is a question still in debate. The first state regulated MMA event was held in Biloxi, Mississippi on August 23, 1996 with the sanctioning of IFC's Mayhem in Mississippi show by the Mississippi Athletic Commission under William Lyons. The rules used were an adaptation of the kickboxing rules already accepted by most state athletic commissions. These modified kickboxing rules allowed for take downs and ground fighting and did away with rounds but did allow for fighters to be stood up by the referee and restarted if there was no action on the ground. These rules were the first in modern MMA to define fouls, fighting surfaces and the use of the cage. 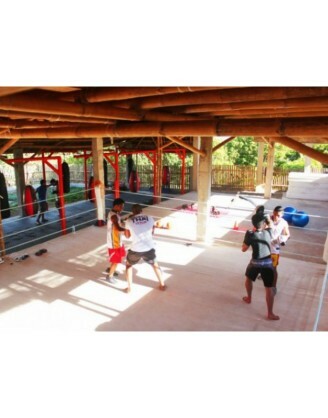 If you want to book and train any kind of Martial Arts around the world, please, choose only reliable and tested GYM's and camps, such as those listed at category Mixed Martial Arts (MMA). We collect and publish reviews about all camps and school around the world, if you want to write review about Mixed Martial Arts (MMA), please use tab Review in camp description block above.